Publish wordpress ‘posts’ to twitter– If you want to publish the wordpress posts to twitter, enable this option. 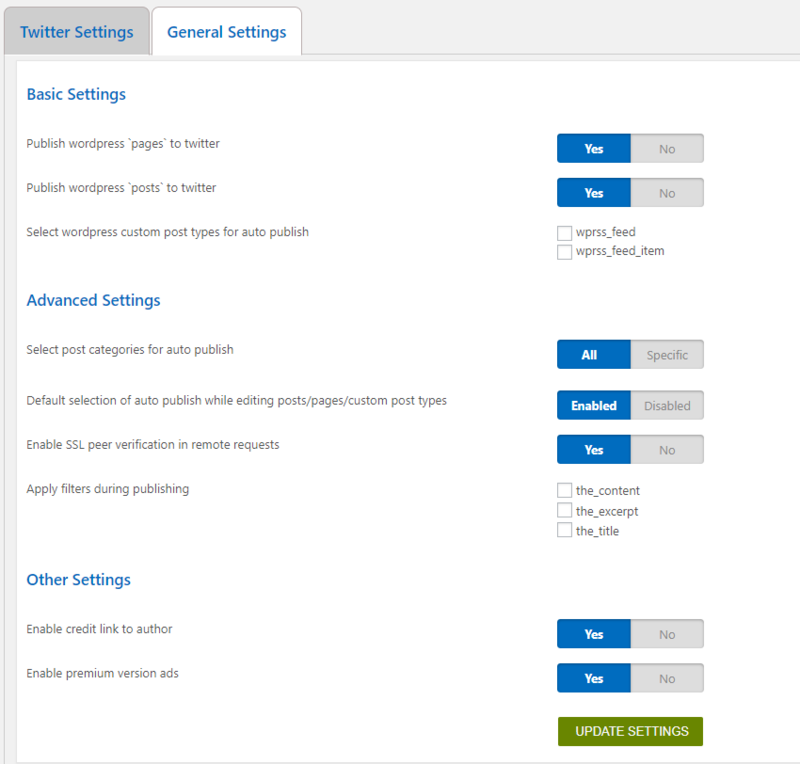 Publish wordpress ‘pages’ to twitter– If you want to publish the wordpress pages to twitter, enable this option. Select wordpress categories for auto publish – Here you can select all your categories or specific categories for auto publish of posts. The posts under the selected categories are published automatically to twitter. Auto publish on editing posts/pages/custom post types – If you want to publish to twitter when editing a post or page or custom post type, please enable this option.